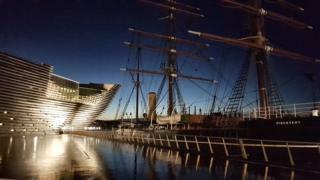 Image caption Philip Milne took in the view of the new V&A Museum and the RRS Discovery during his early morning run in Dundee last Sunday. 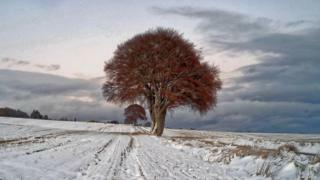 Image caption Julian Paren was walking to Munlochy to buy a newspaper when he spotted these striking trees in the snow. 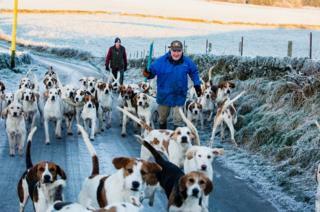 Image caption Graham Peters says he was caught in a "hound-jam" while driving near Houston in Refrewshire in sub-zero temperatures. 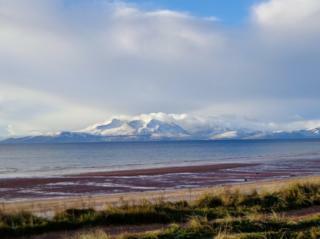 Image caption Arran looks cool in more ways than one, in this picture taken by Gordon Stewart. 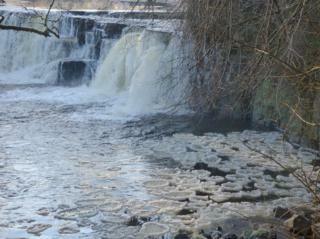 Image caption Aileen Milne photographed these unusual "ice discs" which formed at the bottom of a waterfall in the river at Linn Park in Glasgow. Image caption Santas as far as the eye can see! 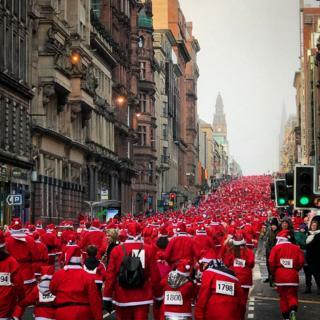 Andres Monserate Piojo took this picture of the annual Glasgow Santa Dash last weekend. 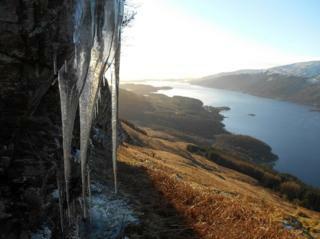 Image caption These huge icicles were photographed by Ken Milne as he climbed Ben Lomond on Sunday. 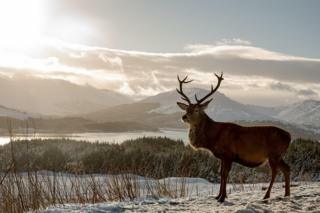 Image caption This regal-looking stag was spotted at the Loch Tulla viewpoint, near Bridge of Orchy, by Paul Young, of Ayr. Image caption Tam Nugent managed to take this magnificent picture of the Erskine Bridge, Firth of Clyde and Argyll hills from a Prague-bound flight shortly after take-off from Glasgow airport. 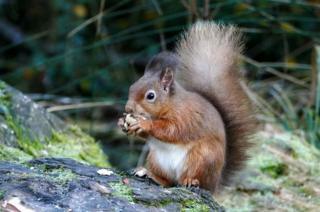 Image caption This red squirrel was spotted enjoying its breakfast in Tentsmuir forest, Fife, by Eric Niven. 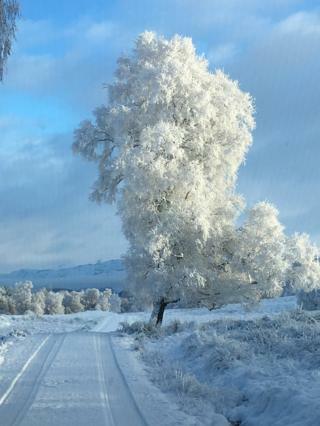 Image caption It looks like there were white-out conditions in Invergarry this week. 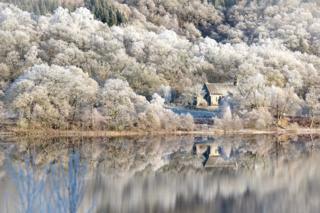 Graham Whaite took this photograph. 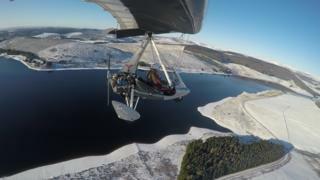 Image caption Andy Mackinnon and his friend were flying their microlights from Perth Airport this week. This picture was taken at Backwater reservoir, near Balintore. 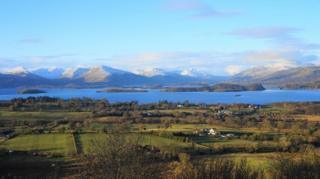 Image caption This view of Loch Lomond from Duncryne Hill, Gartocharn, was taken by Gary Marshallsay, of Falkirk. 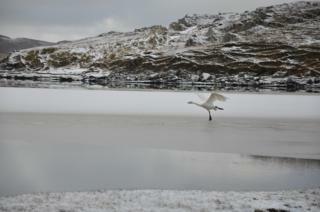 Image caption This was one of a series of pictures of a whooper swan taking off from a snow-covered beach at Timsgarry on Lewis sent in by Elly Green. 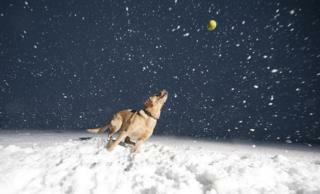 Image caption Caley the Labrador loves the snow, says Stuart Ross, who took this great shot near Roy Bridge. 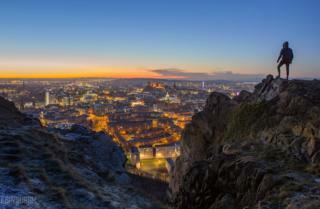 Image caption Edinburgh looks beautiful in this picture, taken from the Salisbury Crags by Gavin Duncan. 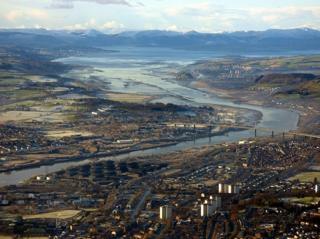 Image caption Another cityscape - this one of Stirling was taken from the Wallace Monument by Ronnie Mitchell. 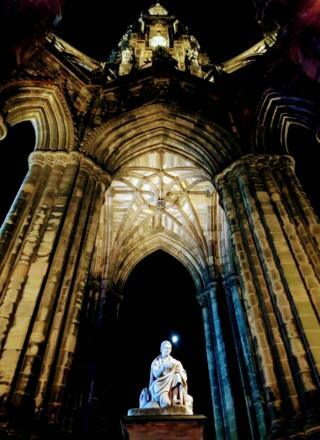 Image caption Andy Robertson, of Linlithgow, has named this picture "Sir Walter has a lightbulb moment". 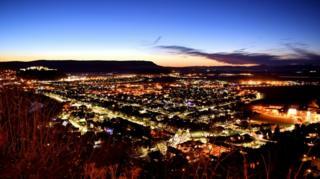 Image caption The sky was busy with meteors on Wednesday night, says Dave Stewart. 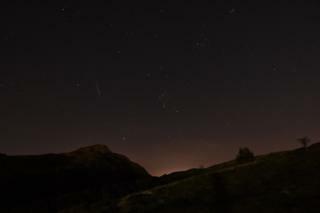 He reckons one looks to be falling directly above Arthur's Seat in this shot.